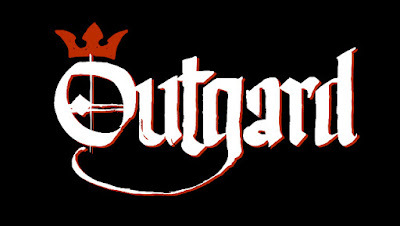 Outgard, a world locked in primordial superstition. A world bereft of the light of the Emperor. A world of wytches. It is said a god and a goddess once walked the land with their nephilitic hosts. They united the world before returning to the heavens to wage war upon the falcon god. 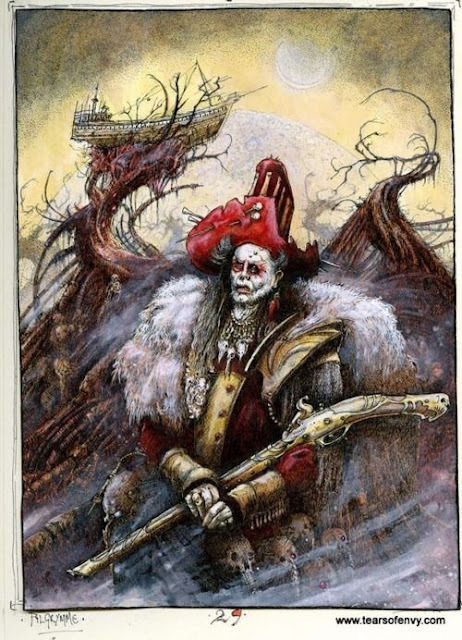 The guardians they had left behind withered and died as all flesh will. Their deeds soon became legends, and eventually even the legends were forgotten. The aeon of the falcon changed the world and the wytches came forth and now Outgard is trapped in it's own violent dream. There will be no new dawning, there will be no new hope, there will only be stagnation. Pray sons of men and daughters of women. Pray for the dying light. 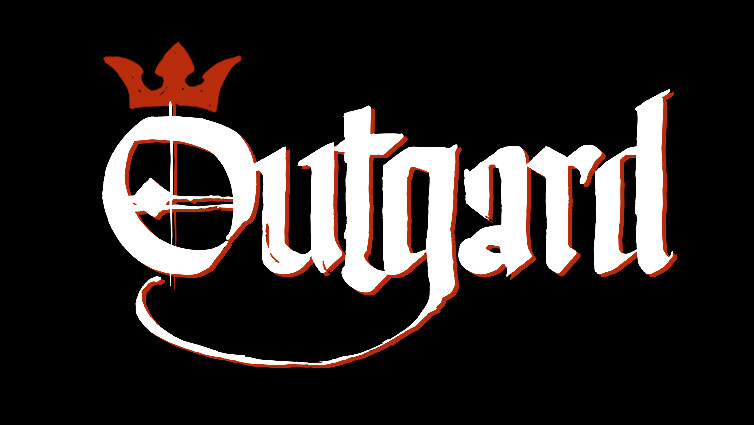 Outgard is a new collaborational project set on a medieval world somewhere in a remote corner of the 40k universe. Bands of fighters struggle in the ruins of a once great but now forgotten civilisation searching out loot, wytchtek and generally doing their best to survive in this hellish feudal world. Expect wytches, monsters, vampires and those brave, embittered souls who hunt them. Of course underneath it all is the ever present taint of chaos. And me of course plus some guest stars to make surprise appearances. Here´s my first conceptual mini - a humble wytchhunter hired sword. 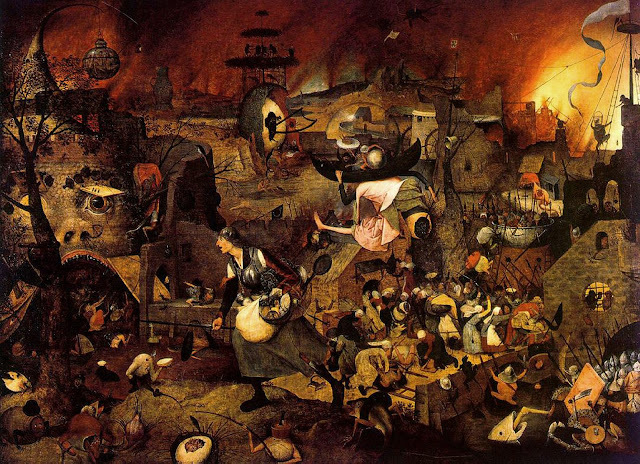 I tried to keep the palette very earthy and Brueghelesque similar to his painting of Dull Griet pictured above. Has to be a cool project then. I'll repeat what I said on Ammobunker, I am incredibly stoked for this project. Your conceptual mini (as always) looks brilliant. If you ever need a hand with fillers and NPC's I'm more than happy to lend a hand. A very exciting looking project! I really love the logo you did, a nice focal point to build the project around! 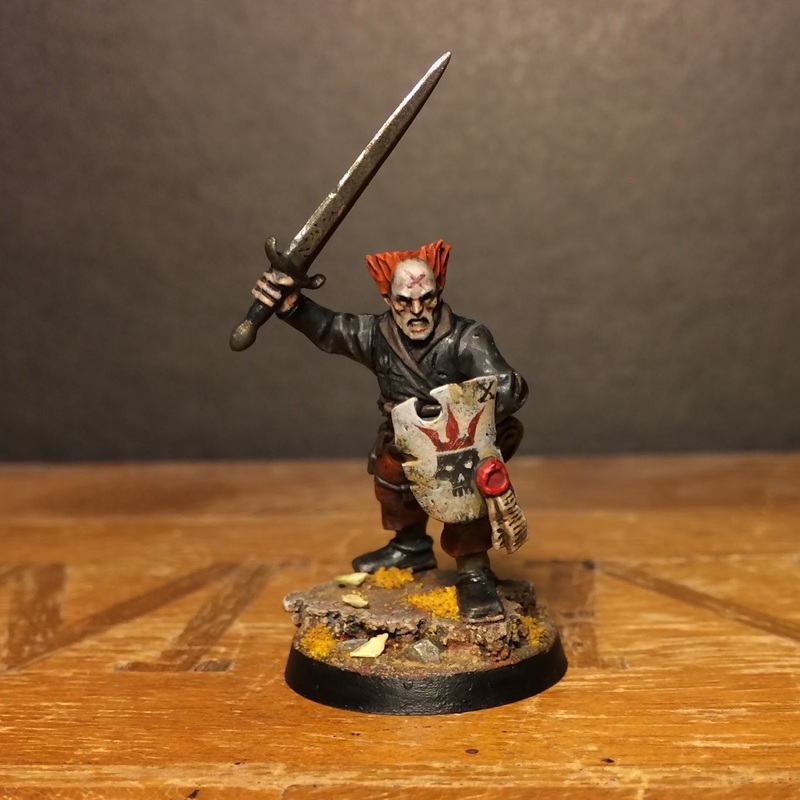 Your first miniature is nice too, the red/orange hair a nice contrast to the rest of the model. I particularly like the X on his forehead and shield. Keep up the good work! I've got in my self-made sub-sector a world which tends to a maybe similar vibe - grim-dark 40k meets grim-dark Thirty Years' War - of Outgard. So...I'm totally hooked to it. 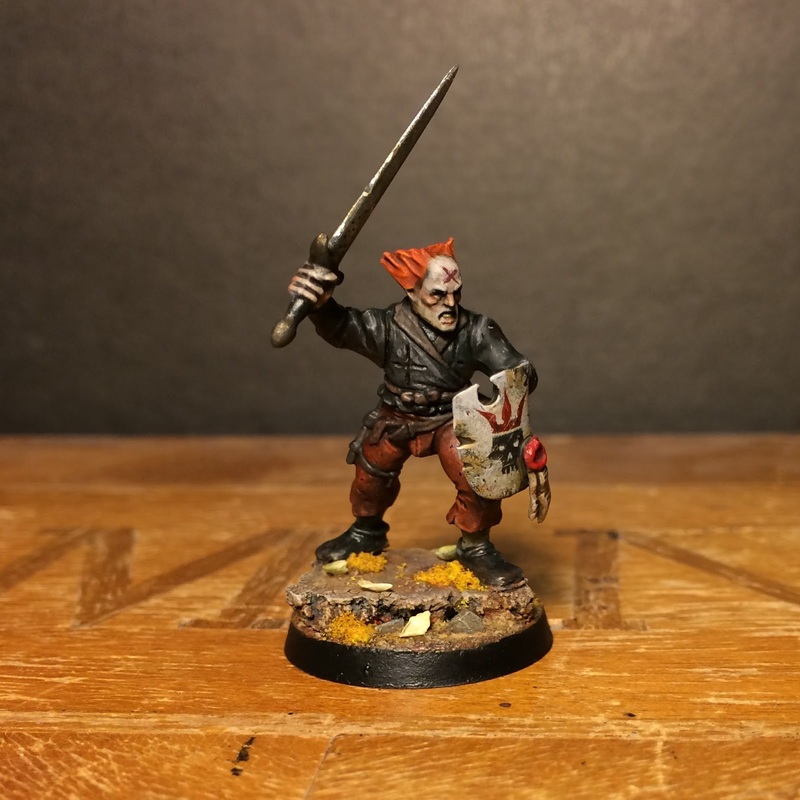 And great start with the concept miniature! Epicness over flow Johan! The paintings really sets the tone we are striving for. Pilgrym's body still warm... and now this! Nice. Can't wait to see what follows. Super-cool! Very envious of this! Sounds amazing good luck with it & I love the model. Can't wait to see how this pans out! I already love this! Can't wait to see where you go with it, the concept seems to have just the right balance of myth and humble scale. It should be the perfect follow-up to Pilgrym! Glad you all seem to approve of this little renaissance fair of ours! More to come soon! This SO FRICKEN COOL. i just have a few questions, Will you do any terrain for the project like those big faces in the paintings? and Will thier be a game with these guys or just have the models? We will have a game in Helsinki later this year. Whether we´ll build strange boschean facebuildings or stick to more classical fantasy architecture is anyones guess. Cool project - looking forward to seeing more!